Birankai Aikido practitioners and friends from four states gathered this weekend in Providence at Main Street Martial Arts for intensive weapons training with Katharine Heins Sensei of NW Michigan Aikikai. Classes focused on underlying principles like hand rotation, weight shifting and arm position in both jo and bokken forms. Instructors attending included Phil Traunstein Sensei of Long Mountain Aikido, Liese Klein Sensei of Fire Horse Aikido and Eric Karalius Sensei of Connecticut Aikikai, along with a crew from Brooklyn Aikikai – a three-hour drive away. Thanks to Michael Werth Sensei and Sherry Waldman Sensei and the students of Main Street Martial Arts for their hospitality! See more videos of Heins Sensei at BiranOnline’s channel on Youtube. Birankai is lucky to have several dojos that offer uchideshi programs: A chance for students to immerse themselves in the practice of Aikido. Uchideshi life is hour after hour of training, interspersed with hour after hour of cleaning and other dojo chores — all designed to build martial skills, awareness and the true spirit of Japanese budo. Lola’s a third of the way to her goal of $3,000 with only two weeks left — let’s get her the rest of the way! Stay tuned as I post more clips from 2014 Birankai North America Summer Camp; more video at Biran Online’s channel on Youtube. 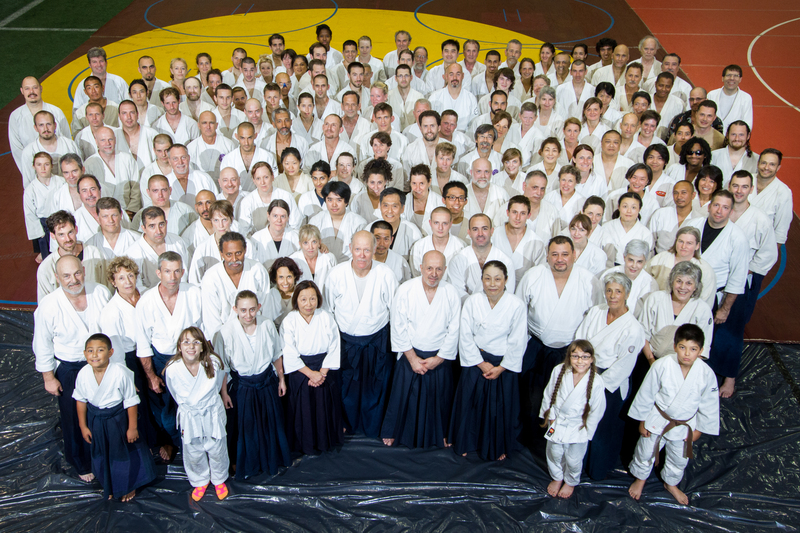 A group photo taken during Birankai North America Aikido Summer Camp 2014. Thanks again to all who made this great event happen! More videos and photos from 2014 Birankai NA Summer Camp will be posted as soon I can get organized after my travels (sorry, photo team!). For now, please enjoy these clips shot at camp this year of Bernadette Vargas Sensei of Aikido of Albuquerque. 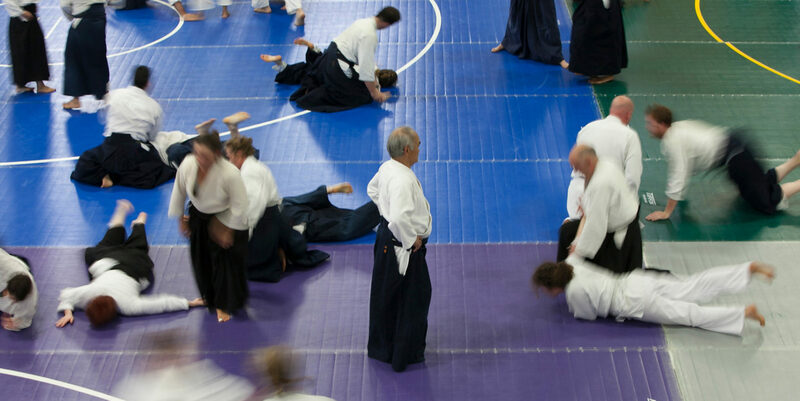 Vargas Sensei, 4th dan shidoin, is a dynamic presence on the mat and co-chief instructor of Aikido of Albuquerque. More footage of Vargas Sensei and other Birankai North America instructors will be posted as we embark in earnest on our video project highlighting female teachers. Please take the time to make to make sure that your instructors and senior students are represented online with action-packed video!